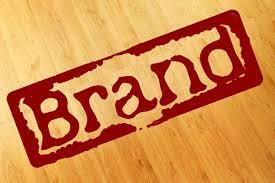 Radhika Harlalka's Blog: Branded?? Non-branded?? Confused? On a recent rush visit to the supermarket, I ended up buying the supermarket brand of certain personal consumable items. But, to my dismay, I realized the mistake only after I returned home and opened the packaging. So, now what is brand? What is brand name? Brand is the "name, term, design, symbol, or any other feature that identifies one seller's product distinct from those of other sellers." Brand, an intangible asset, is often the most valuable asset of a corporation. Brand owners manage their brands carefully to create shareholder value, and brand valuation is an important management technique that ascribes a money value to a brand, and allows marketing investment to be managed to maximize shareholder value. Recently a cousin of mine bought the store brand for paper towels. But, but such a mistake and a waste, that was. To our disappointment, several paper towels were useless. And, this significantly reminds me of the episode of Everybody Loves Raymond where Ray does the groceries and thinks he has been so clever about saving money, but others do not agree, much to his disappointment. As discussed, why branded and not ‘me too branded’ (non-branded) products. Of course, for the sole reason, that they are cheaper and they can save a huge lot of money. But, do ‘me too branded’ products serve the same purpose; provide the same amount of benefits? Is buying off-brand the smarter choice? The answer is an obvious big NO. Why? Does that question arise? Well, the answer lies hidden in the meaning of the word BRAND itself. It offers scores of benefits as compared to the ‘me too branded’ products. The products manufactured by well-respected brands are able to satisfy customers’ needs in terms of quality, service, price, etc. as these companies spend years to build their reputations. One of the greatest advantages of buying a brand-name product is a longer, comprehensive warranty. Reputable companies stand behind their products and put a great deal of effort into making them durable by using quality parts that last longer. Again, name-brand manufacturers have the resources to consistently create designs to match consumers’ changing lifestyles and needs. Updates might include stylish extras that make products look great or features with the latest technology to enhance quality of life. Also, well-respected brands have been in the business of serving customers for a long time. They put extensive resources into customer support. On the other hand, this doesn’t mean consumers can’t get good quality or service from a product that isn’t a name brand. There are many other manufacturers that excel in both these areas. However, brand-name products tend to offer consumers more purchasing peace of mind. But then again, to many people, a shopping trip usually involves getting in the car, going to the store, and picking up a handful of items they need around their home. Again, it's always nice to open your refrigerator and pull out a refreshing Coca-Cola, but what about replacing that with a store-brand Cola because if you compare the labels, the store-brand product contains virtually the same ingredients, but is usually priced much cheaper. And in my opinion, they taste pretty much the same, so why pay more when you can have more products at a cheap price. It is always a great achievement to buy goods in the ever increasing inflation rate prevailing in the market, isn’t it? But, but, but, before a conclusion is arrived at, another very thing is required to be considered. And this thing is STATUS. Yes, Status of the society we live in, the Status we show off to the world, the Status of the power of notes we own, the Status of the people we live with. Yes, of course STATUS is a big damn thing in the modern society. Who doesn’t want to show off the notes they own? Anyone out there exists who love to live their well to do life with simplicity? Of course not. I am not talking about the times of Gandhi or others but the times of the 21st century where showing off is the new trend and buying me too branded products is a big look down upon on your so called status, for they are cheaper, they may not last long, they may not give the results branded products give you. That is what my niece said when asked about her views on branded products, and mind you, she is just 14 year old. But, nevertheless, many consumers don't realize the value of purchasing store-brand items versus name-brand ones. First off, store-brand items are normally much less expensive, often as much as sixty per cent cheaper. Then there is the issue of quality; many store-brand items perform as well as or better than their more expensive cousins on the shelves while many involves many issues. In truth, the final decision as to what is best lies with the individual buyer himself, who is wily enough to know what is correct for him. It is for him to decide whether they want to go with the expensive branded products or the not-so-expensive non branded products for branded products are traceable and, as a general rule of thumb, tend to arrive in the warehouse within specification tolerance time after time. However the risks are clear. So how many of you buy branded items? Or do you prefer to save some money and get the generic brand product? What are your MUST HAVES for branded items?